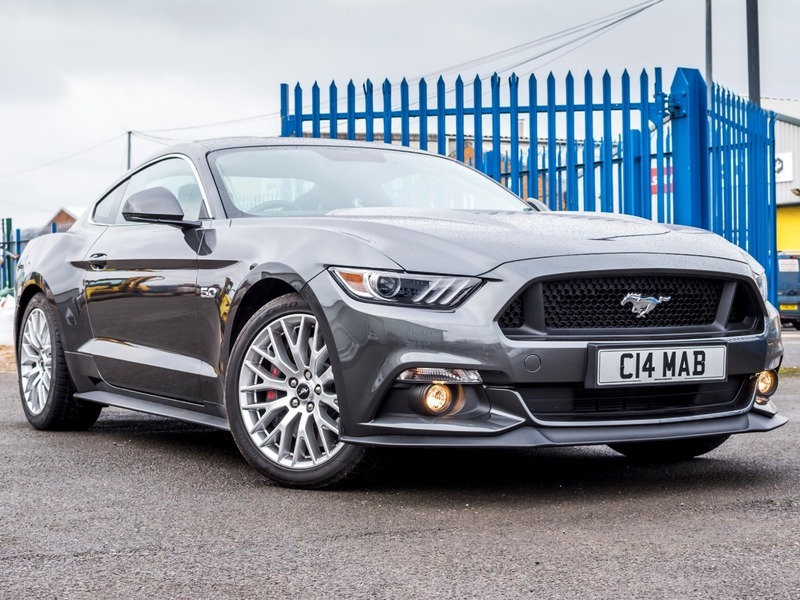 Sagitta are pleased to present this stunning 2017/67 plate 5.0 Mustang GT Coupe with only 1250 miles on the clock comes in Metallic Magnetic Grey with Full Black Ebony Leather Interior. Full Screen Satellite Navigation System, Reverse Camera, Bluetooth, DAB Radio, Heated Seats, Parking Sensors, Dual Climate Control, CUSTOM PACK, Shaker Pro Audio, Electric Seats, LED Lights, Key-less Entry, Electric Door Mirrors, Start Stop Function, Dual Zone Climate Control and 19" Alloy Wheels. First service just carried out a TC Harrison's/Ford and it has the balance of Ford Manufacturers Warranty until October 2020.